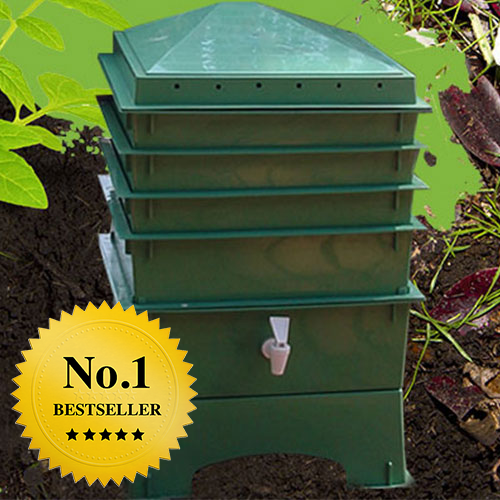 Earthworms will just love this layered wormfarm for producing your own vermicompost and worm tea. 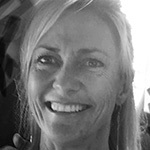 Easy to manage too as it includes everything you need to start with – you do not have to buy anything again. 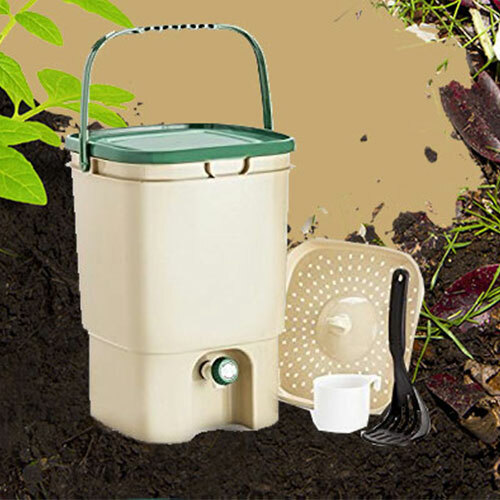 To set up, operate and maintain the Soilsouls Wormbox is very simple – just follow the step-by-step instructions of the Instruction Booklet provided. The Wormbox is a “layered” compost heap. It consist of several stackable perforated trays made of recycled plastic. 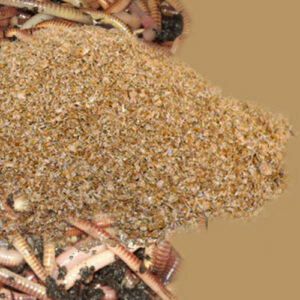 Simply add worms, bedding and organic waste such as kitchen scraps and shredded paper to the bottom tray. The worms will start processing the food scraps and turn it into the castings that are an excellent fertilizer. Once the bottom tray is filled add another tray. On average a new tray is added every month. The worms migrate upward to the newest food leaving the bottom tray full of nutrient-rich compost. 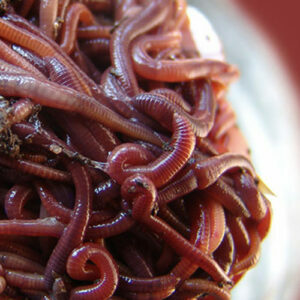 The first tray will take about three months to become fully composted by the worms but you will have several layers. After about 3 months you should have a tray to harvest every month. 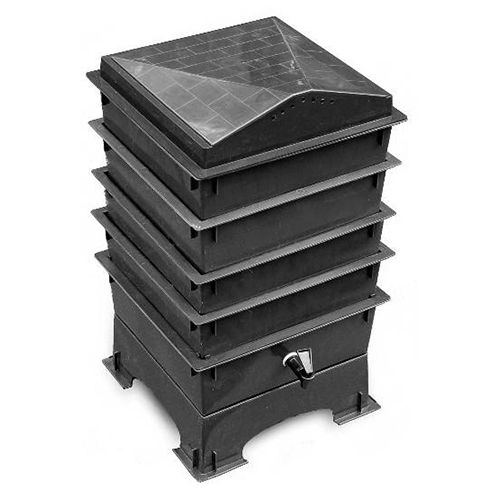 Once you harvest your finished compost from the bottom tray, you will have an empty tray to stack on top again. 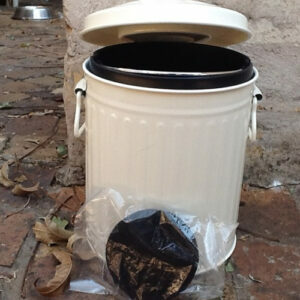 This way you will have compost year-round, indoors or outdoors and is odour-free. The solid base has a built-in drip tray which collects the worm tea that percolates/drains down from the upper trays. 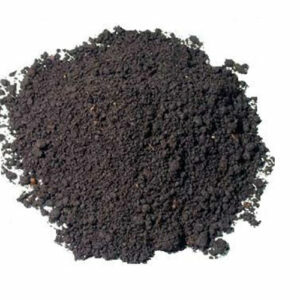 This is a very nutrient-rich, 100% organic liquid fertiliser that can be diluted and sprayed or poured onto your plants or leaves. The tap makes it easy to drain and use (liquid drains towards the tap). 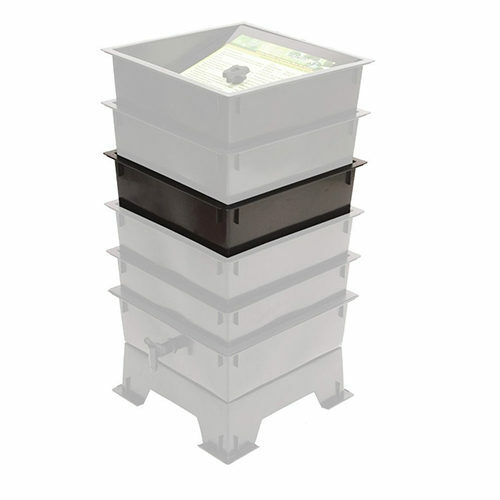 More but smaller trays are also more manageable and expandable up to 6 trays.